Top Technologists from Application Development to Marketing came together at Dublin‘s RDS to share what’s best for the User Experience! 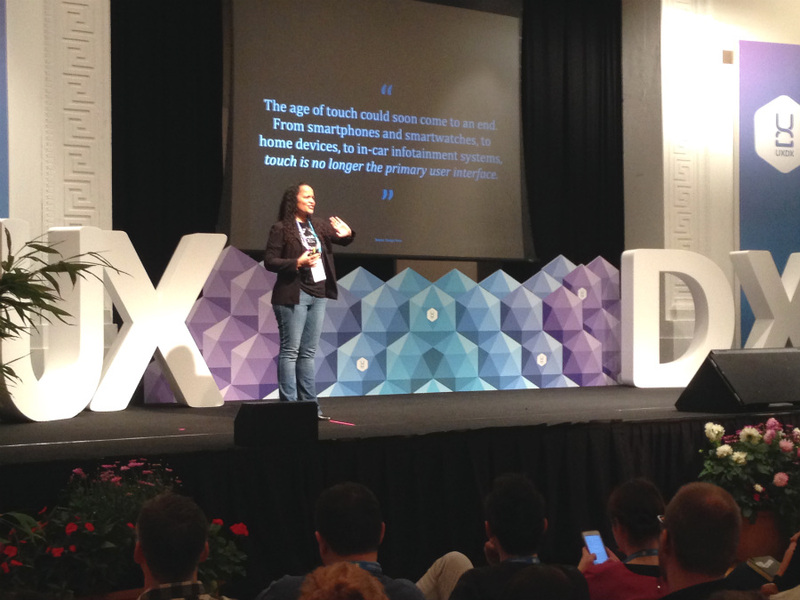 A fresh Thursday morning saw the UXDX 2017 Conference kicking off its second day at the RDS in a conference from October 4th to 7th that promised to deliver the best insights into the User Experience (UX) and the Developer Experience (DX). In short, the organisers did not disappoint in their delivery on the day! My initial impression was formed by a strong presentation from Skyscanners who talked about “Empowering Autonomous Teams from the Top Down”. The speaker made very impacting points such as the concept of delegated responsibility and why it’s important that employee engagement is based on real experiences in the workplace. After all, investing and trusting in the right people is paramount to success! He went onto highlight the importance goal alignment has for all team members in creating a group consensus of what constitutes goals and objectives along with how they can be achieved! Another interesting point was the effective depolarisation of office politics in projects by ensuring no team is by function or silo. Each team has a spectrum of members that all work in team and carry the same title but different specialities. Agile practitioners will relate to this concept, which by organisational design is difficult to achieve for so many companies. Before moving into the Developer Experience area, I stopped off in the Exhibition area and chatted with some interesting businesses like Sungard Availability Services who have a wide range of disaster recovery services including data and software backup/recovery. Other exhibitors displayed equally impressive products including Indeed Prime, IDA, Viasat (who are currently recruiting by the way) and an innovative company called Ideapaint. Hermon NcNeilis, Business Development Manager with Ideapaint demonstrated the paint product where you can use a standard whiteboard marker on any wall that has the paint applied and diagram software on it using the marker. You can then wipe it clean like you would a whiteboard. Makes for interesting meeting points in any company situated in offices where such an innovative product is deployed! After meeting with some old and highly experienced acquaintances, we moved on into the Developer Experience area where a fantastic DX talk by Flipkart was delivered. The dynamic digital retailer is a user-focused organisation who heard its customers when they talked about application performance. This feedback led them on their development journey, which fundamentally changed their architecture replacing their m-sites with single page application loads. It resulted in huge performance increases supporting a seamless user experience for the millions of customers using their application in the Indian marketplace. The technical innovation was driven by customer needs, which were harnessed for success by both the organisation’s technical and business elements resulting in unprecedented business growth for the online retailer. A wonderful exploration of networking metrics came from Sky in their talk “Application Performance Measurement”. The speaker explored how care is needed from modelling load/response times to bandwidth analysis given the dramatic differences in modelling outcomes based in the slightest of changes to how you monitor your data feeds. An interesting point was made on modelling data is the use of the max (i.e. maximum value) indicator in reporting of the good, the bad and the ugly of metrics from network feeds. Max as a metric may seem negative when looking at response or loads times. Yet, in the context of any dashboard, it’s a must in any accurate analysis of performance. Whilst seemingly basic, max is often overlooked in a misguided attempt by some to adhere to company culture and impress more senior management by omitting it, thus producing less accurate dashboard metrics. There were so many great talks happening on the day including a very good talk about the practicalities of App Development using TDD and ATDD. It was impossible to attend them all but noteworthy was the high level of quality involved. A common undercurrent from the talks I attended and chatted with others about was the connecting of the dots from people to processes to technology. With good people engaged and providing quality inputs, you get great processes that can accommodate the needs of the customer. As technology advances solving more and more customer problems, markets evolve with this wave yet remain the same in so many ways. UXDX Conference 2017 has made it perfectly clear that our customer’s user experience in a digital environment is the first point always in a successful company journey that without it would see the most brilliant of technological innovations become a short lived affair!